You love life in Belle Isle for its selection of amenities and for its proximity to Orlando. 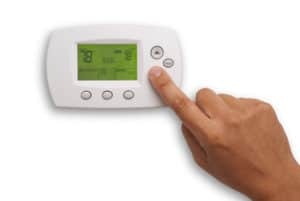 You also know that when it gets hot and humid in the summertime, there is nothing quite as refreshing as walking into a home or business that has excellent working air conditioning. The AC service Belle Isle puts their faith in is provided expertly by DC / AC Air Conditioning and Heating. For over 25 years, residents and businesses alike have known that all it takes is a phone call to get the most reliable expert AC service any time. 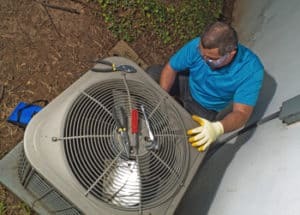 We are the dependable, trustworthy and conscientious choice for savvy Belle Isle air conditioning and heating service consumers. Our A+ Better Business Bureau rating is something we work hard to maintain. 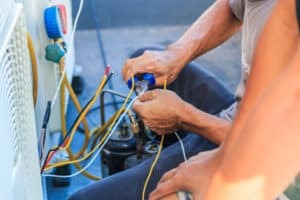 All technicians sent to your Belle Isle home or business to deliver the Belle Isle air conditioning repair you’ve come to know and trust are highly trained, bonded, licensed and insured. DC / AC Air and Heat is focused on keeping the A+ Better Business Bureau rating we’ve worked tirelessly to earn. When we arrive at your home or business, you’ll receive a comprehensive evaluation of your system. We’ll let you know in a straightforward way exactly what issues you’re having with your system and advise you of the best way to take care of them. Once you approve a plan of action, we get to work cleanly and professionally to deliver the AC repair Belle Isle residents and business leaders need to keep cool. We’re fully qualified to work on many types of systems and we’re familiar with the types of parts needed, as well as all the nuances that pertain to each system. Whether you need simple checkup servicing, filter replacement, coil cleaning or more complicated repair services including thermostat repair and replacement or capacitor replacement, you’ll have full confidence in the Belle Isle AC repair we deliver. The AC repair Belle Isle depends on is a phone call or a few clicks away. We’re easy to reach and have achieved a well-deserved reputation for efficiency and reliability. Try us for your next AC repair or installation, and we believe you’ll look forward to calling us back next time you need high quality service or repairs. If it’s determined that you need a new air conditioning system installed, you’ll be thrilled to learn about all the latest advances that make today’s systems more energy-efficient and cost-effective than ever before. Our ace technician providing the exceptional AC service Belle Isle appreciates will explain to you the nuances of your new system. They will also explain things like energy efficiency ratings, savings you can expect on your utility bills, and the smartest ways you can use your system for maximum savings. You’ll be happy to know that the refrigerants we use are the latest eco-friendly solutions that help protect the environment as your home or business is cooled. You’ll be thrilled with the Belle Isle AC repair you receive and with our superior attention to the details that make us the AC service you want to call in the future. We’re your Belle Isle experts in tune ups, checks, repair and replacement of your AC and heating systems. 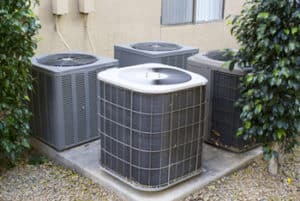 The AC service Belle Isle has relied on for over two decades is dependably delivered to you through the experts at DC / AC Air Conditioning and Heating. Call us to see what a difference true expertise and professionalism makes.